Congratulations to Makenzie Heifner, the Elks Student of the Month for April from Ste. Genevieve High School! Makenzie is the daughter of Christina and Cliff Joggerst. 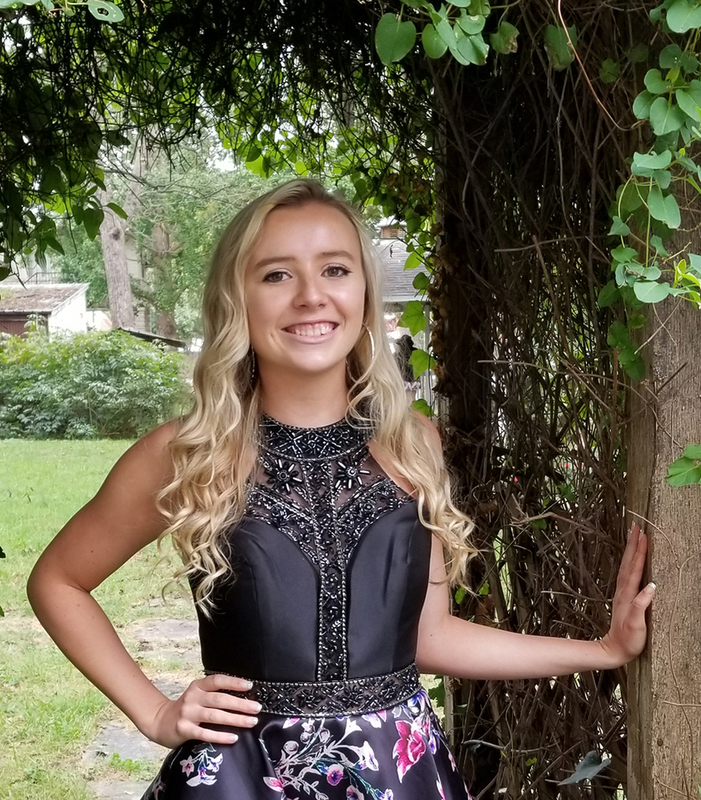 Makenzie's scholastic honors include: ranked in the top 10% of her graduating senior class, earning A Honor Roll each semester, earning the Chemistry class award, receiving the Academic Gold Star Award four times, earning the FACs Award. Makenzie is involved in SADD, FCCLA, FCA and French Club, and has been a member of the SGHS cheerleading squad and the Emeralds dance team. Makenzie has earned varsity letters in both Cheer and Emeralds, as well as being selected Miss Cheer and Most Spirited. She was also selected to the MCCA Academic All-State team. In her free time, Makenzie enjoys spending time with her friends and family, drawing, painting, cheering and reading. She plans to attend University of Missouri- St. Louis in the fall and plans to major in nursing.